The TX66A Series has been discontinued. Please see the TX91A and TX92A Series as a possible alternative or contact our Temperature Engineering Department. 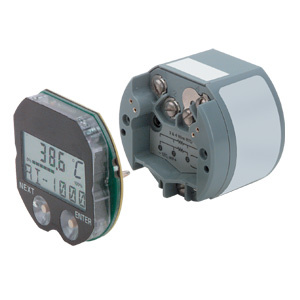 The TX66 "smart" transmitter offers isolation, linearization, automatic temperature compensation, automatic self-calibration, and easy-to-use menus. These compact units accept a large number of inputs. The optional 1-line display will fit within the same footprint as the transmitter. The 2-line plug-in display is slightly larger, with two push buttons and LCD glass. Both displays are easily field mounted. At least one display is required to set up the transmitter.